David Carr (Giants), Ken Ruettgers (Packers), Michael Stewart (Rams), Aaron Merz (Bills), Joey Porter (Steelers), Brent McClanahan (Vikings), Mark Nichols (Lions), Jeff Buckey (Dolphins), Stephen Neal (Patriots) and others. "It's been a four month journey sending this football around the country," Blaine told me. "It's been shipped, hauled and handed off from person to person." The football will be auctioned at the CASA Kentucky Derby Party on Saturday, May 5, with all proceeds going to CASA. Tickets are $175 each. Call (661) 631-2272 if interested. * ... SPOTTED: Peter Mayer dropped me a note about a horrific incident he witnessed involving a dog riding in the back of a pickup truck. Mayer was driving on Highway 99 when he came upon large yellow labrador pacing back and forth in the bed of the truck, at times placing its front paws on the side of the bed. "Within seconds the dog actually jumped from the right side of the truck (traveling in the right lane), hitting the pavement at about 60 miles per hour. It rolled under the truck and was hit by the owner himself at least twice as the truck swerved and spun to a stop facing the opposite direction. The dog actually got up and limped to the right shoulder, and the truck also pulled off (still facing the wrong way). Thankfully, nobody was directly behind and surrounding traffic was able to slow and move away from the situation. I don’t know what ultimately happened to the poor dog or the owner." Mayer noted that pets are like children, and they "depend on us to take care of them and keep them from dangerous situations. I don’t have a problem with a dog riding in a pickup truck, but keep it on a very short leash, attached to the middle of the truck bed." Amen. * .... BOMB SHELTERS: Last week I mentioned how some folks in town built bomb shelters following the 1962 Cuban Missile Crisis. But did you know there was a huge one beneath East High? That's what Ben Ansolabehere told me. "Living in Bakersfield put us right in the middle of some of this country's most important targets. 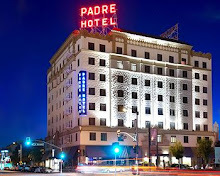 Nestled between Edwards Air force Base, Vandenberg Air Force Base, SAC (Strategic Air Command) base near Sacramento, not to mention the largest city in the U.S., with one miscalculation and we were gone. However, one of the largest shelters built was actually under the cafeteria at East High School. While teaching at East, both World and U.S History, I had the privilege of taking my early classes down to the shelter to see some of the old bunk beds, provisions, and sparse living conditions which would have had to be endured by any of the survivors lucky enough to make it down there." * ... SEMPER FI: From reader Kathy Hahn: "While working out this morning at Eric Nolan's Extreme Kickboxing, I was talking with a young man who had spent 12 years with the Navy and Marine Corps. Now he is working on getting a PA degree at Taft college while supporting a wife and three small children. So proud to have our tax dollars going to someone with determination and character. His hopes are to go to Stanford to get a Doctors degree and then reenlist. Wow!" 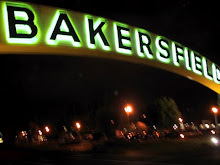 * ... BAKO WHISKEY: Bakersfield is known for a lot of things, and it soon may be known for its whiskey. That's right, local businessman Dave Plivelich told me about his North High School buddy Wade Bowen and a group of investors who plan to produce and market a high grade whiskey right here in Bakersfield. Dave, who owns the The Marcom Group digital marketing agency, told me he recently reconnected with Bowen who shared his dream of making premium whiskey. They now have all the federal licenses as well as federal approval of the recipe. The still is built and empty bottles and corks are ready to go. "We're anticipating bringing Bakersfield its first legitimate whiskey, and it's a damn fine whiskey to boot, sometime in May of this year. This is all produced here in Bakersfield and will be made in small batches. Our thing is... if you are going to get a superb American-made whiskey that doesn't come from Tennessee (Bowen's is better anyways), its only logical that it would come from someplace with such a rich west coast history." Bowen's Spirits Inc. will be the producer of Bowen's Whiskey. Look for it. * ... TRASH: Ten days ago hundreds of local volunteers spread across our community picking up trash as part of the Great American Cleanup Day. 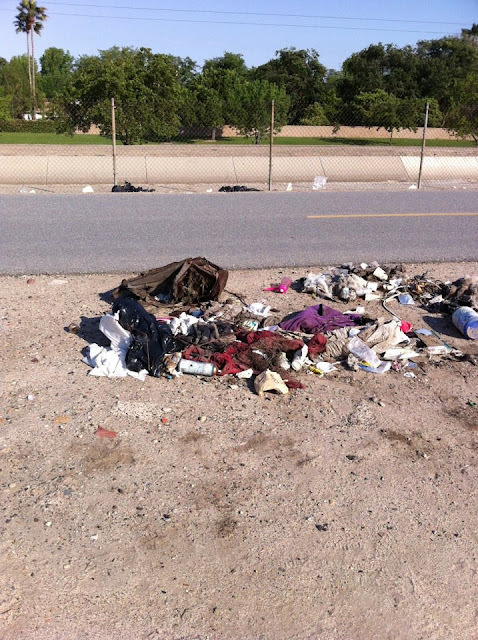 That was terrific, yet more than a week later much of the trash remained, particularly along the Kern River bike path where the once neatly stacked piles of black trash bags were trashed themselves by the homeless, animals and inclement weather. It's a shame it took more than a week to finally pick up the trash bagged by legends of volunteers. * ... KERN RIVER: If the city would like to make amends, perhaps it can arrange to have water in the river during the upcoming Tour of California bicycle race. At least that's the idea of Frances Rosales, one of the owners of Happy Jack's restaurant downtown. 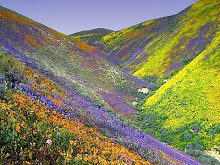 "Why can't we have water flowing down the river when the Amgen Tour of California bike race is in town? We have friends coming from Napa and it would be great to see us at our best," she said. 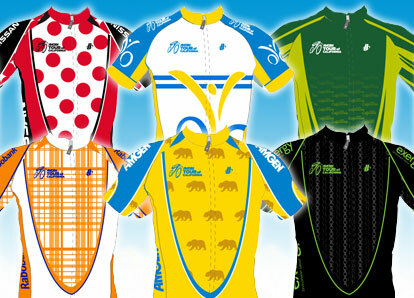 The tour will be in Bakersfield on Thursday, May 17, for the individual time trial competition. Some 30,000 spectators are expected to watch the time trial on the Panorama bluffs near Bakersfield College. * ... SHOE DRIVE: Rosco Rolnick is at it again, helping those in need with his 20th annual "Shoes for the Homeless" campaign benefiting the Bakersfield Homeless Center. 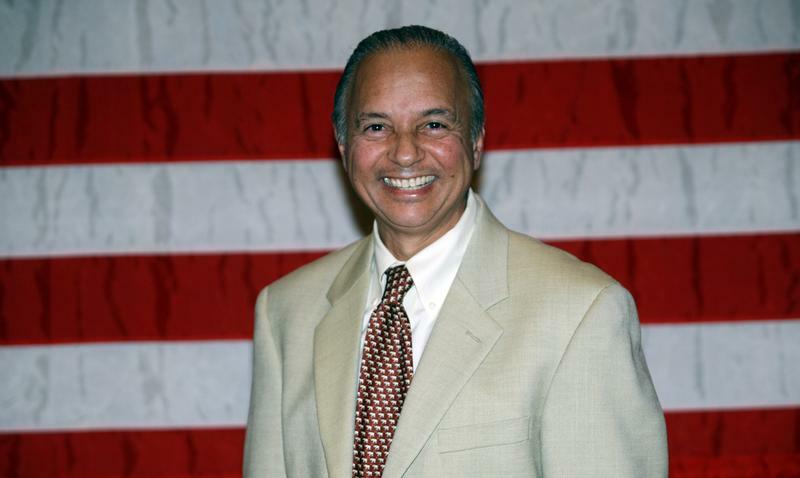 Rosco is president of Guarantee Shoe Center on Chester Avenue and has long been a supporter of our community. The shoe drive will conclude on May 6. Donations can be dropped off at Guarantee Shoe Center, KGET TV, Second Smile Denture Car, the Downtown School and at Four Seasons activity center. Donors will receive $10 off their next purchase of regularly priced shoes of $60 or more at Guarantee Shoe Center. * ... BOMB SHELTERS: My earlier post on the bomb shelter in Rick Kreiser's yard in College Heights brought this note from reader Carl R. Moreland. "In 1966, when we bought our first home on 21st Street from the former Kern County Museum Director Richard Bailey, it included a bomb shelter. When visitors first came the house, we always took them went down into the submarine-like shelter. Our children Margalo and Krista and their friends used it as an underground playhouse." * ... BOMB BAR: And then there was this note sent to me from Richard Diffee: "One more thing about bomb shelters. Old timers may remember a bar on Union Avenue near 8th Street during the 1940s called the Bomb Shelter. Patrons went there to get bombed." * ... WEBSTER WEBFOOT: I wrote earlier about the old television show called Webster Webfoot and Jimmy Weldon. It brought this response from reader Gary Higgins: "Jimmy is alive and well and living in North Hollywood. I was an avid fan of Webster Webfoot when I lived in Fresno in the 1950s. 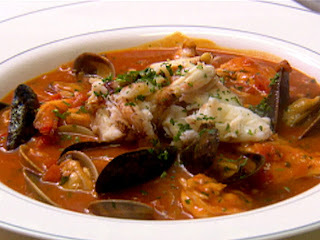 * ... CIOPPINO: One of the signature Bakersfield spring fund raisers was held Saturday night at Monsignor Leddy Hall over at Garces Memorial High School, the always spectacular and fun Cioppino Feed and Live Auction hosted by Bakersfield West Rotary. Featuring "all you can eat" fresh clams, salad and cioppino brimming with shrimp and crab, this event routinely attracts more that 300 people and raises $100,000 or more for some worthy charities. This year's beneficiaries include the Boys and Girls Clubs, the Golden Empire Gleaners, MARE and the Bakersfield West Rotary Foundation. Too many people to list here but among those I spotted were Vernon Varner, Mike Rubiy, Diane and Tom Gordon, county supervisor candidates Harley Pinson and Karen Goh, Harry Starkey, John Fallgatter, Jim Darling, Greg and Mary Bynum, Nancy Olcott, Robin and Pat Paggi, Linda and Bruce Jay, Karen and John Wells, Rick Kreiser and Lori Tovar Stites, and of course West Rotary President Ricki Foster. 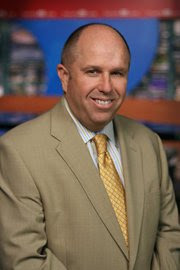 * ... KERO SHAKEUP: Steve McEvoy is out as general manager of KERO TV (channel 23) after 28 years at the station. The move came this week when the new owner of the station, Scripps, terminated McEvoy. Years ago KERO TV was once the local ratings powerhouse but has been lagging behind market leader KGET and KBAK for the past 10 or 15 years. Scripps bought KERO and several other TV stations from McGraw Hill in January. Management changes are not unexpected after a sale of a station. * .... RAVI PATEL: Dr. Ravi Patel, one of the foremost experts on fighting cancer locally and the founder of the Comprehensive Blood and Cancer Center, will be my guest on the Monday edition of Californian Radio on KERN 1180. Patel will be taking on a wide range of topics, including the state of cancer care in Kern County and his own personal story. He will be appearing at 9:30 a..m.
* ... CSUB WRESTLING: You have to hand it to the supporters of the storied Cal State Bakersfield wrestling program: they simply refuse to give up. Faced with the sport being eliminated at the school because of budget cuts, supporters are tireless in their efforts to save the program. The latest fund raiser will be held Tuesday, May 1, at Stockdale Country Club. It is billed as an "Evening with Stephen Neal," the former New England Patriots offensive lineman and two-time world wrestling champion at CSUB. The cost is $75 per ticket. 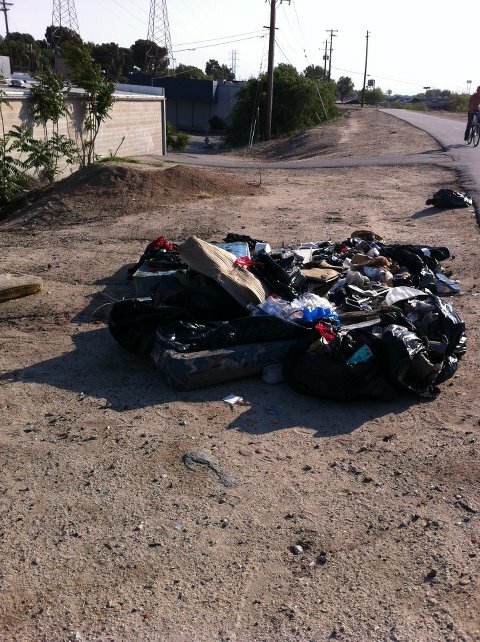 Call (661) 302-4455. 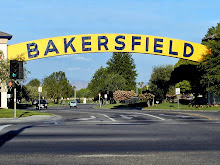 * ... REUNION: Bakersfield is blessed with many long-time families with rich histories, and one of them is the Vincenzo Fanucchi family that is celebrating its 100th anniversary. Barbara (Fanucchi) Crear said the reunion was held this past weekend and featured some 150 family members. Her grandparents, Cristina Banducci and Vincenzo Fanucchi, came from Italy, settled in Bakersfield and were married at St. Francis Church. "They had four children and I am from their youngest child, David Fanucchi (the Garces family.) My grandparents had four children, three boys (Oreste, Edward and my father David) and one daughter, Nellie, who married Joe Lencioni. All of this generation has passed away but between the four families there are about 210 descendants." * ... ZIPPY: More memories of George Day and Chester the clown from reader Joe Stormont. "The clown was originally called 'The Clown with no name.' They had a contest in which kids viewing the show could write in suggesting a name for the clown. A few weeks of hype went on before the big day in which Chester was picked. Another popular show in the 1960s ws the Webster Webfoot Show which featured a duck puppet and host Jimmy Weldon." * ... BOMB SHELTERS: Did you know that many local families actually built bomb shelters around the time of the 1963 Cuban missile crisis? Old friend Rick Kreiser told me his father had McCarthy Tank and Steel build one in his College Heights yard, and there were at least two others in his neighborhood.